The official website of Bank of Punjab - a well known Pakistani Bank get hacked. 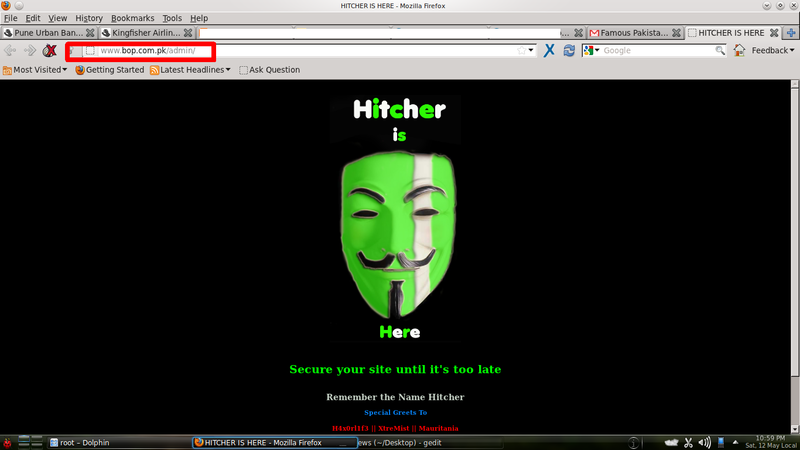 Here also Pakistani hacker code named "Hitcher" took responsibility of this hack. Earlier he had defaced two high profile Indian bank sites and they are United Bank of India and IDBI. This time along with the official website another sub-domain of the Bank get hacked. This attack took place almost 5 days ago but still the hacker has managed to keep his access on the bank server and those two hacked pages are still there. 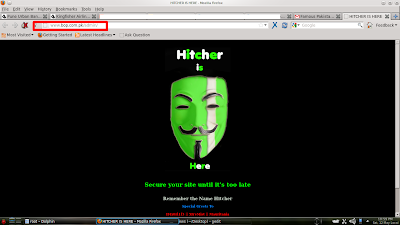 As expected here also Hitcher has created a deface mirror on Zone-H. Hitcher is widely known for defacing high profile websites, his last three high profile hack was Kingfisher Airlines, Central Statistical Agency of Ethiopia & 100+ Chinese Govt Websites. Not only Bank of Punjab, IDBI & UBI, this year we have seen such attacks hacker collective group named Teamgreyhat has rooted the server of Islami Bank Bangladesh & maintain their access for more than 2 days & another Pakistani calling himself "GiRl-RiD3r-H3x()r" successfully carried out an attack on the official website of Pune Urban Bank.